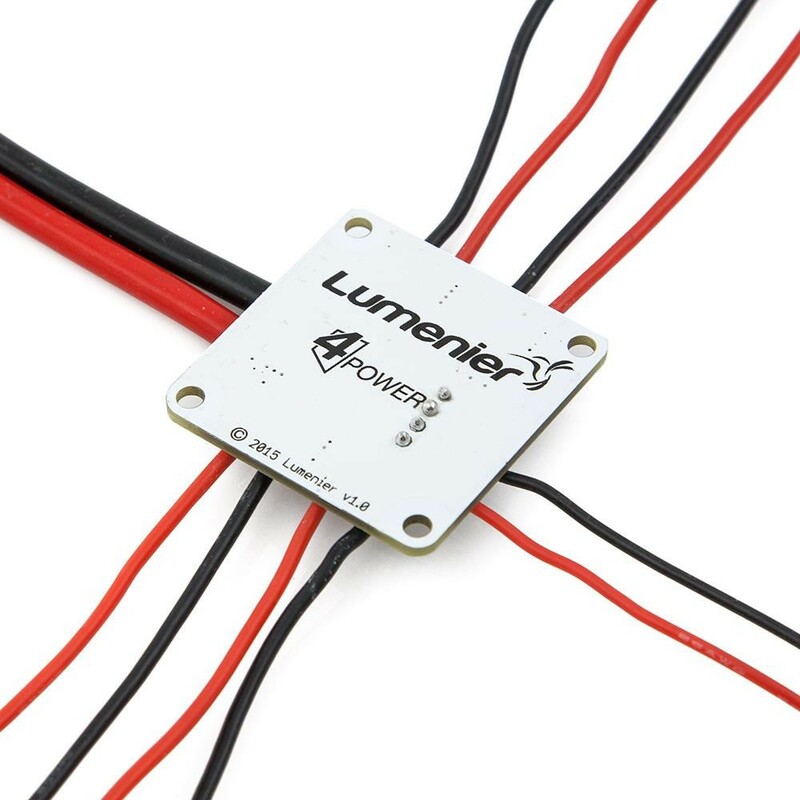 Lumenier 4Power Mini PDB has an integrated location to solder an additional voltage regulator, the Pololu voltage regulators will fit directly to these boards using a set of pin headers, allowing you to regulate the voltage going to other electronics like radio controllers or LED strips. 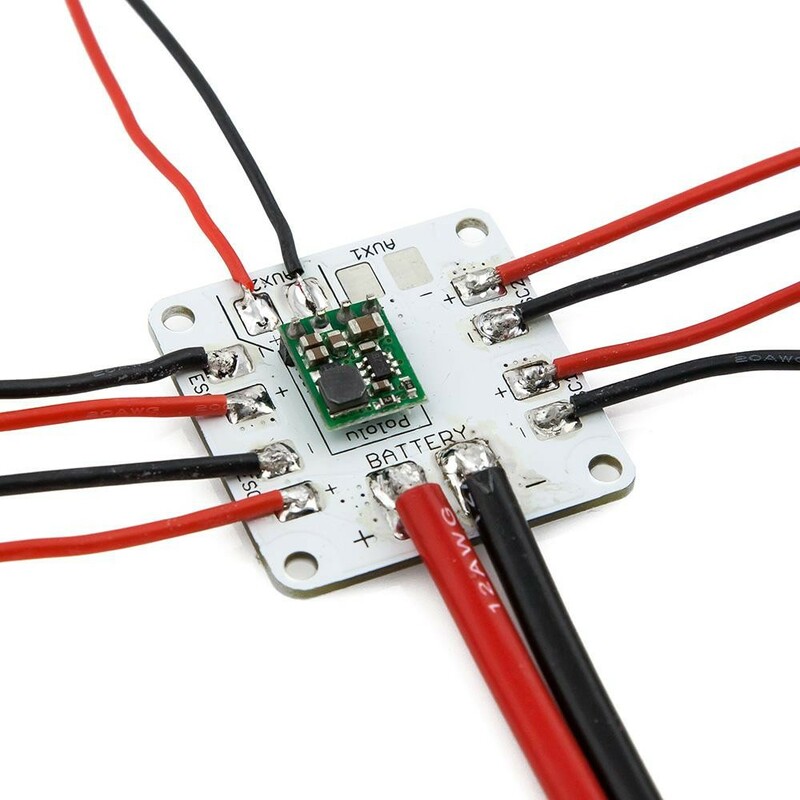 The PDB is supplied without wires or Pololu voltage regulator. 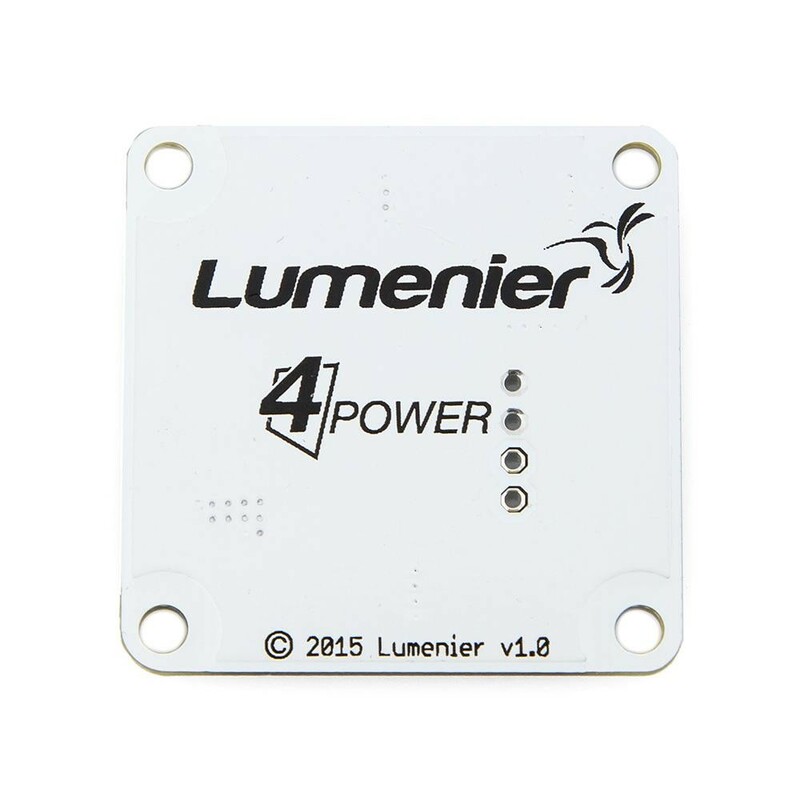 36mm square PDB with 32mm mounting holes. 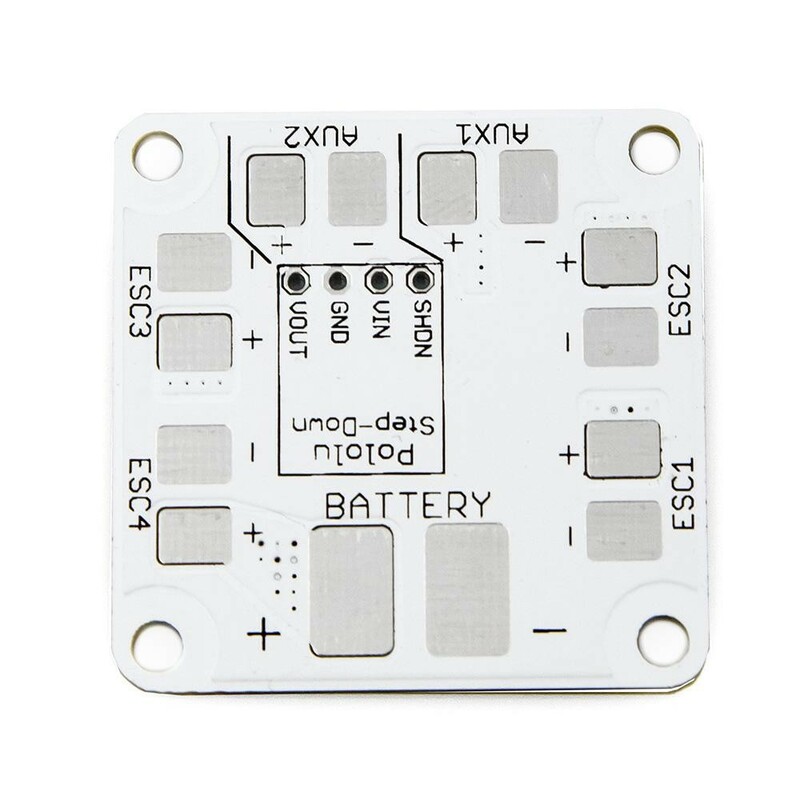 2oz copper traces to support high amperage use from 2-4s LiPo batteries.